The current scene at the pyramids is extraordinary ugly and filthy. The poverty is extremely present with all its facet. How can such a mega place be so neglected? Everyone would agree that something needs to be done urgently. Besides of the hundreds of Billions in proceeds that this location can bring in, the image is as important to have it modern, livable and clean. 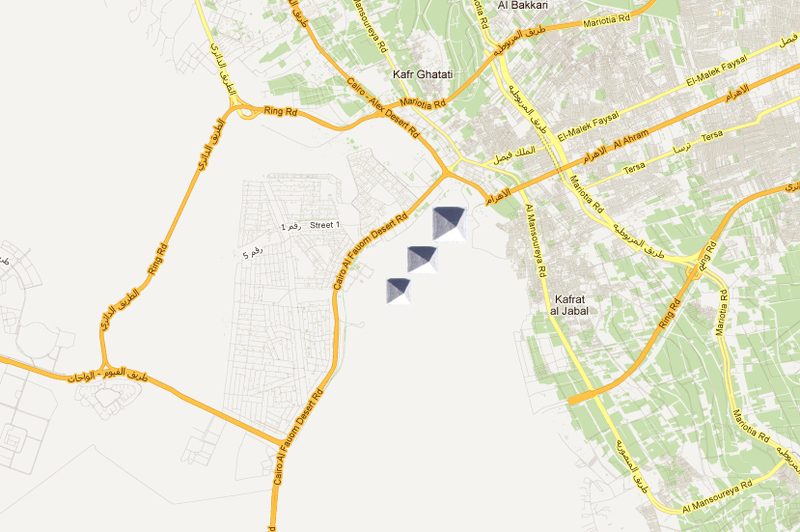 This park will be situated instead of the current buildings that surrounds the pyramids today. 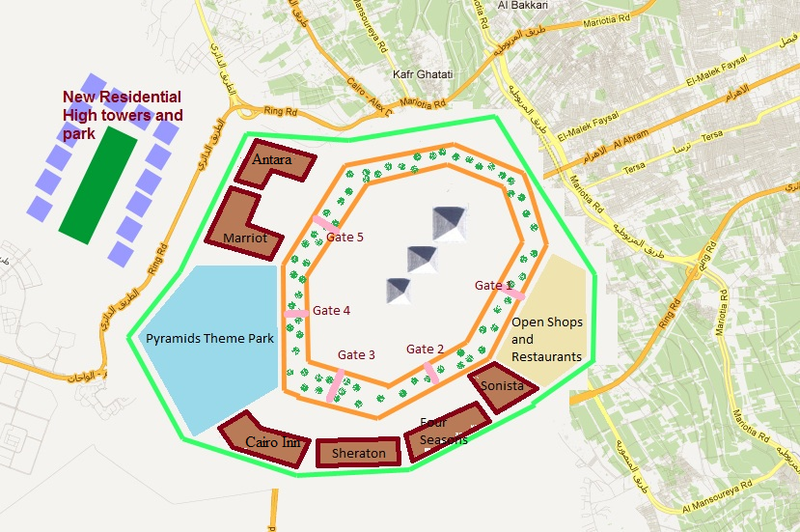 All buildings 1-23km around the pyramids will need to be cleared for the new park / village. Residential buildings especially should not be present. It will be at the same scale as the Ferrari World in Abu Dhabi (see http://www.youtube.com/watch?v=x6lpDyYycoE). Any international company would be delighted to design and implement this project.
. The biggest theme park in the world - same scale of Ferrari World in Abu Dhabi. · Green open space with many trees spread all over the landscape. · A modern mega bazaar, book stores, coffee shops etc..
· Restaurants local as well as international. · Many magnificent Fountains, statues. · Transportation from and to the park by way of a metro line connecting the existing metro lines.
. Worldwide advertisements to the park that will attract more tourists because all the special amenities.
. The Grand Museum would be integrated with this park project. There will be a need to route traffic coming from the desert road into Cairo by other means, this will reduce of course major traffic, air and noise pollution. A proposed road from the airport to the park to only carry tourist traffic. The project is big and a revolutionary transition in Egyptian tourism. It will need efforts from a few ministries. Investors will be easily convinced to implement this major project and would be ready to compensate the owners of the present buildings. Residents will be moved to nearby high towers as a compensation. The cost of the project can be brought in from the hotel and resort establishers. Land will not be sold but can be leased. Funds brought in will be used to compensate citizens and build the infrastructure of the project.